Are your problems and emotional issues controlling your life? Do you feel Anxious or Depressed and generally exhausted most of the time? Therapy with me will enable you to positively move forward with your life you can find your way through your issues, making more sense of your world in a safe environment. I also offer Supervision for practicing therapists. 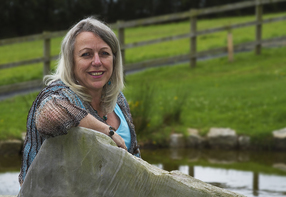 Supervision with me at Tamar Valley Counselling is your time to be open and honest about your counselling practice. I am not here to be judgemental, my aim is to help you grow in professionalism as a counsellor to offer the best for your clients and keep them safe. I hope to build a relationship with you, one of trust and respect to nurture our supervision work. The Ethical framework of counselling, underpins our practice constantly. We will tailor make a contract that suits your individual needs as a counsellor. I look forward to working alongside you.